Nothing could have prepared Sandra for the life she has had. One of her twin boys was diagnosed with ADNP syndrome. They did not get a diagnosis until Tony was six years old which was difficult, but also a blessing. ADNP syndrome did not have a name and it wasn’t until Sandra got involved that a name was actually chosen. Shortly after Tony was born, he was having trouble sucking and keeping his body temperature up. He was sent to the NICU, where medical staff expressed concern about Tony’s heart. It was discovered Tony had four heart defects. At three months of age, he had his first open-heart surgery. Before the surgery, doctors believed he had Chromosome 22 Deletion disorder, but that test came back negative. As he grew, Tony wasn’t looking at his parents, showed no interest in playing, and was missing milestones. After having an MRI, Sandra’s worst fear was confirmed. “Something much bigger was wrong with Tony.” Because several brain abnormalities were identified, Tony was sent from one specialist to another. Four years of genetic testing showed no results. Sandra became a “mommy investigator” in an effort to find her own answers. She applied to many genetic studies and finally got accepted into one at Duke, who ultimately diagnosed him. Unfortunately, Duke didn’t have many answers for them either. Tony was the first child diagnosed with ADNP syndrome in the US and the 11th child ever to be diagnosed. Furthermore, Sandra said the hardest part of Tony’s diagnosis is knowing that it is a “life-long disorder.” They will never be able to retire or travel because they will have Tony with them until they die. She also worries about who will take care of him once they are gone. They have heard horror stories of group home placements. Because of this, they have to plan now for where he will go in the future. Most kids with ADNP syndrome are thought to have Angelman syndrome because of how happy they are. Tony was always a happy baby and even now, he laughs a lot. He also loves to be cuddled and to have that personal time. Sandra is amazed by how “extremely hard-working” Tony is. He has been doing therapy every day since he was three years old and he does it with a smile on his face. It is safe to say that the available resources for ADNP syndrome are because of Sandra and her obsession with getting a diagnosis for Tony. Her obsession led to finding the research team who discovered the disorder. 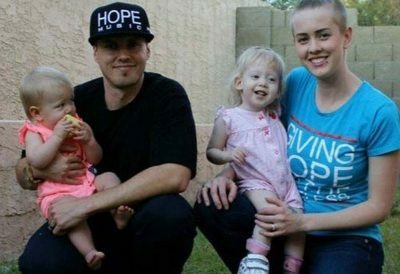 They put her in touch with parents of the other 10 children who had been diagnosed. She then created a parent support group on Facebook where they shared this syndrome in “extreme depth”. That information went on a website Sandra created and also in a spreadsheet which was shared with scientists. Doctors started directing other parents to her website for additional resources. Researchers in the U.S. then realized they needed a foundation to do more research. Sandra helped with this by starting a non-profit organization called ADNP Kids Research Foundation. Sandra says it is very important to review the website. It is possible parents will read about a symptom that hasn’t been investigated with their child. For example, there was a family in the UK whose 13-year-old daughter had never seen a cardiologist. After finding out that children with ADNP syndrome have heart defects, they took her in. Doctors discovered she had a significant heart defect which could then be treated. There is priceless information on the website but it won’t do you any good if you don’t review it. Sandra’s second bit of advice is to trust your instincts as a parent. She said, “Parents are such a force because we see everything.” You know what is best for your child. Belonging to a parenting support group will only reinforce that belief. When you trust yourself, you will be able to figure out the right thing to do for your child.